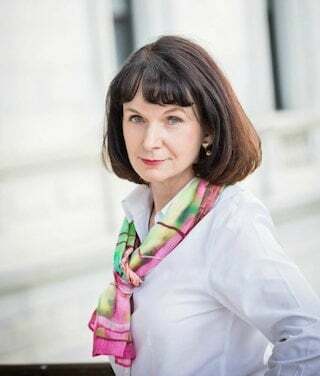 For most of us, getting married and having children dramatically reduces the number of dates we have time, money and energy to enjoy with our husbands. Just coming up with fun date ideas seems to take too much energy! And when we do have a “date night,” it typically involves sitting or eating or both. But if you’re trying to eat well, get in shape, lose weight or just live a healthier life, an evening of eating high-calorie foods and sitting through a movie suddenly doesn’t seem very appealing. Fortunately, it’s easy to expand the definition of “going on a date” to include activities that are fun and healthy; I call them “active dates.” Active dates are fun and, as a bonus, they provide great opportunities to create shared experiences and build intimacy and connection with your husband. And, many of these active, healthy and fun date ideas are free or inexpensive. One way to save money on them (and to get some great ideas) is to sign up to receive notices about healthy and outdoor activities Living Social or a similar services. You can find great deals on fun activities such as canoe trips, bike rentals, walking tours or admission to historic sites. My husband and I have taken a couple of guided kayak trips using those kinds of deals. That’s the kind of thing we probably wouldn’t do on our own, but with a group it was easy and fun. • Take a hike – walk the trails at a nearby park or nature preserve. • Go dancing or take dance lessons – all forms of dancing provide great exercise and an opportunity for fun and intimacy. Look for coupons or discounts. • Visit a botanical garden, zoo or other outdoor attraction. • Plan a sports date – if you both play the same sport (for example, golf or tennis), plan a time to play together. Or take lessons and learn a new sport together. • Go for a bike ride. • Take a walking tour of an interesting city/town. • Take a walk and stop for a cup of coffee or light snack. • Tackle the climbing wall at a gym or park. 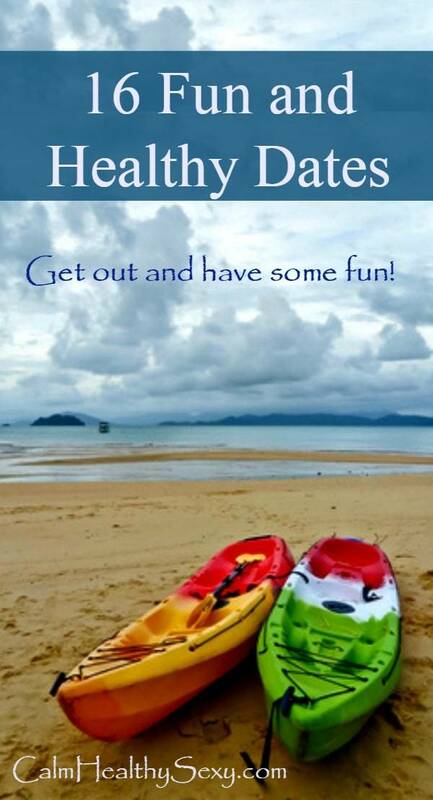 • Go kayaking or canoeing. If you don’t have your own gear, look for a guided trip that includes everything you need. • Do a zipline adventure. • Go to the gym and work out, then enjoy a light meal on the way home. • Explore a rail-to-trail project in your area. • Play Ultimate Frisbee at a local park. Or just toss around a regular Frisbee. • Visit an historical site and take a tour. • Take a long walk and then enjoy your own healthy picnic. • Enjoy a meal at a restaurant that serves healthier fare, then take a walk and window shop before heading home. My husband and I have bikes we haven’t used very often, so we’re hoping to ride our bikes more over the next few months. What kinds of active, healthy and fun date ideas have you and your husband tried? Please share them in the Comments – I would love to hear from you. Add Some Adventure to Your Marriage! 15 Ways to Connect with Your Husband – When Life Gets Crazy! Oh I love this one, great article. Thank you GC. Thank you for sharing at the #summerfamilyfun link-up! I want to get up my nerve to try that! Hi Steve and Chrissy – Love the idea of bike rides and picnics. My husband and I have talked about getting bikes, and really need to do it. Riding bikes is so much fun. Thanks for stopping by and for sharing this post. Love this, Gaye! Such great ideas. My hubby and I are all about healthy dates and have begun doing them more and more. Tonight, our date night will begin with watching game 7 of the NBA eastern conference finals on the small TV screens connected to the elliptical machines in our gym. We’ll work out while watching the end of the game instead of eating pizza on the couch :). Then we’ll return home and enjoy a healthy dinner together. Definitely looking forward to tonight! Hi Fawn – Oh, that sounds like a great date night! We are trying to stay away from dates that involve lots of heavy eating or sitting around too. I like to either be moving or be outside, or both. Hope you are enjoying your evening. Kassi – Thanks so much for featuring my post. I really appreciate it. I’m not sure the gym would be a date in our house… haha! We do love to get out to the movies or out to dinner when we can. Thanks for the great list! I admit that going to the gym is not most women’s idea of a great date – lol! Love that! What a great first date! I’m in the mood for a picnic too! If the sun would just come out! That’s the perfect active date! Thanks Andrea. Love the bike ride and picnic idea! THanks for sharing these on the photo friday blog hop- botanical gardens is a new for me- I’ll think we’ll try it. Have a great weekend! Thanks Jen. I really want my husband and I to take up biking together. I think that would be so much fun. Thanks so much for stopping by! Love that you’re already doing almost everything on the list! Oh, three-day weekends are so nice, and what a fun way to take maximum advantage of them! Hello! I came across your blog via “Linkin with my ladies” Thursday Hop! Great post! 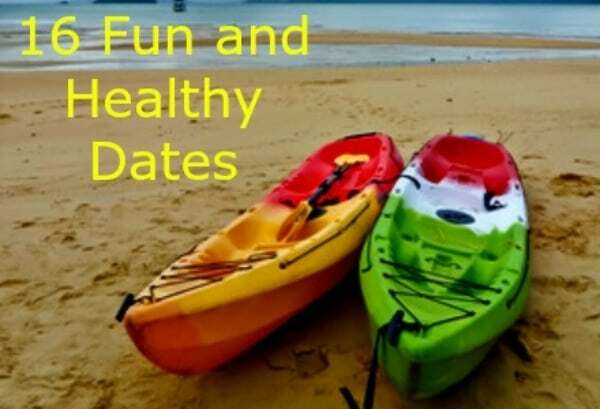 Great ideas for fun healthy dates. Thanks so much for stopping by, Vashti. I love the “Linkin’ with My Ladies” blog hop. I see that you have a book coming out soon – very exciting! Congratulations. We have gone hiking in the nearby mountains for 3.1 miles roundtrip and that was a lot of fun. I’d definitely do that again. Last year we took advantage of the summer heat and went to a nearby waterpark & spent less than $20 per person since we brought our own lunch. Lately, when the weather cooperates, we go on short walks together… usually ending with swinging at the park together (which is so much fun & brings back childhood memories). We went camping over Labor Day last year (my first time) and I loved it – got in hiking, carrying, swimming, walking, running with the Frisbee. We’re planning to do it again this summer. Sometimes we picnic and take walks around the nearby lake. Outdoor date nights don’t have to be elaborate or expensive – and I think those are the most fun! Hi Hannah – Oh, you should have written this post – you and your hubby have done so many fun and active things! I love all of those ideas, especially the waterpark. Oh I loved your post! We’re actually not that active that often. It kinda comes in spurts, other than the walks thing. Hi Hannah – Well, I’m telling myself that spring is the perfect time to crank up the active dates! You already mentioned ultimate frisby but Justin and I prefer Disc Golf. We have a great disc golf course in our community and we enjoy hiking and getting outside together. To show my love, I even spend an afternoon watching disc golf tutorials on youtube so I could at least not make a complete fool of myself! Thanks for the great list. Hi Megan – I like the idea of Disc Golf, and I love that you spent an afternoon watching tutorials. That is true love – lol! I need to hear good ideas for health fun dates and more important I need to make the time to follow through and do them! Thanks for the help. Thanks for stopping by, Gab. I hope that one or two of these ideas will work for you. Hi Lori – Love the idea of water balloons! That brings up other possibilities in my mind too – water guns, sprinklers, bubbles? Sounds like fun. Believe me, I love “sit and eat” dates as much as anybody! And I’m not saying we don’t do those, because we do. I’m just trying to remind myself and my friends of other possibilities.